If you’ve ever wondered, there’s a lot that goes on behind making a Firecracker question. Here’s a glance into some of the details that go unnoticed. You’ll see how serious (and picky) we are with the process. The U.S experienced a surge in the number of medical schools being built during the ‘60s and ‘70s that were followed by a sharp fall in that number during the two decades between the '80s and 2000 when only one medical school was built. Insufficient federal support provided little incentive to found new medical schools leading to a two decade period of nearly static medical school enrollment rates. The New England Journal of Medicine attributed this slump to a physician surplus (in 1990 the U.S had 238 active physicians per 100,000 citizens although only 138 per 100,000 were estimated to be required), but the doctor shortage we are faced with today has necessitated new medical school development. Recently we've spoken to students and medical school administrators who say that attendance and participation in medical school classrooms are on the decline. With fewer students participating, providing interactive and thought-provoking lectures has become more difficult. This begs the question: why, with tuition rates and inter-class competition on the rise, are some students opting out of attending class? The answer is simple—they believe that they can perform better in their classes and on board exams while studying independently. The wide availability of pass/fail courses in medical schools has given students the liberty of studying on their own and they agree overwhelmingly that it is more efficient. With lecture slides, podcasts and course materials readily available online, students can often access all the materials necessary to pass their courses without even attending class, so why bother? Some students view the classroom as an obstacle as opposed to a practical tool. 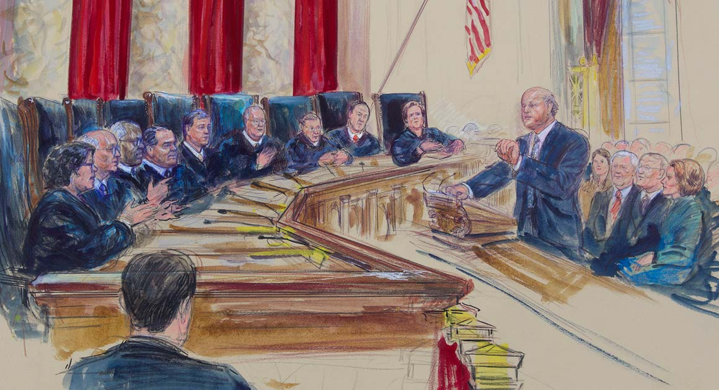 What Does the King v. Burwell Supreme Court Decision Mean for the Future of American Healthcare? This Thursday, for the second time in three years, the Supreme Court rejected a lawsuit questioning the constitutionality of the Affordable Care Act. The Supreme Court ruled that Obamacare, President Obama’s landmark healthcare reform bill, may provide nationwide tax subsidies to low and middle class citizens seeking health insurance. The case King v. Burwell was spurred by a slight miswording of the original 900 page Affordable Care Act document where it stated that subsidies would only be available to those purchasing insurance “on an exchange by the state”. The health care law created marketplaces or “exchanges” where individuals could shop for their health care coverage plan. The lawsuit questioned if the 34 states that chose to maintain a federally-facilitated marketplace, as opposed to establishing a state-based marketplace, could receive essential tax subsidies necessary for affordable health care. Chief Justice John G. Roberts Jr. wrote the majority opinion on the 6-3 decision, with the remaining three conservative Justices dissenting.